I’m rather fond of lilies. I know not everyone is. After two years grace, lily beetles have now arrived at the Priory. 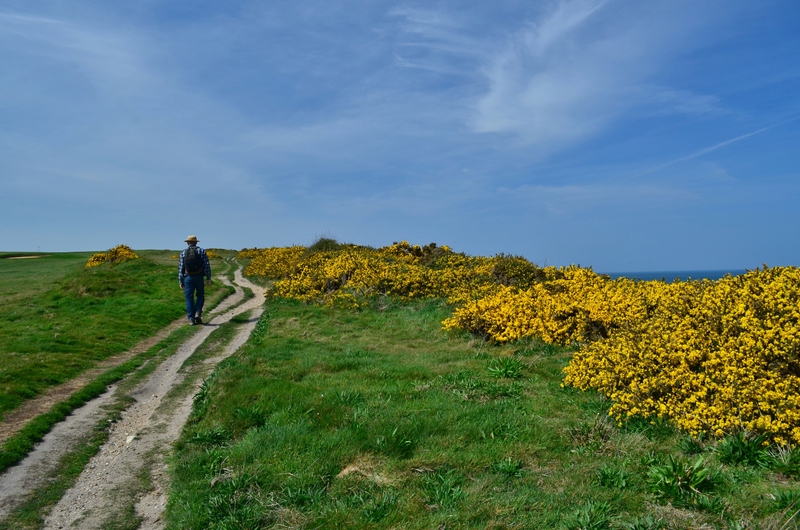 Did they smell the perfume from across Margaret’s fields and home in from some distant garden? Smacking their lips? 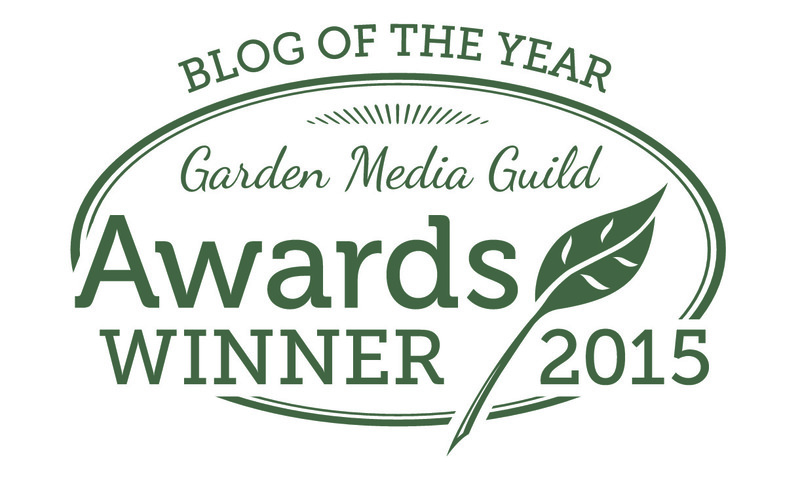 Or were they smuggled in by my Arch Gardening Enemy (responsible for skewing so many of my gardening efforts)? I wouldn’t normally relish squishing any creature; especially so handsome a beetle as this. But having grown potted lilies for several years now, I know LB’s intimately and despise them. And … and … and … (splutter) their larvae are overwhelmingly revolting. They cover themselves in a thick, towering coat of their own slimy, glistening excrement – a deterrent to being eaten. Works for me. Gross, huh? Want another shot of one? Probably not but here you go anyway. 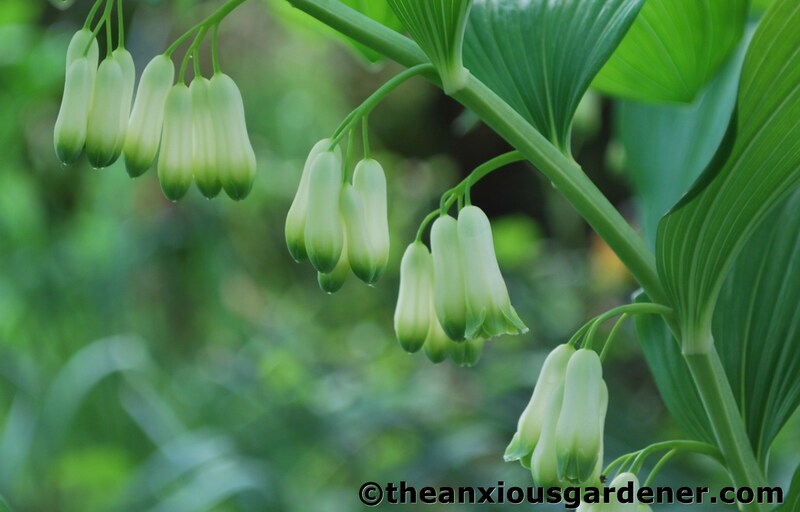 In addition another favourite plant has been subject to attack: Solomon’s Seal (polygonatum). There is one small clump which survived the-years-of-neglect and, during April, it tends to draw me over. 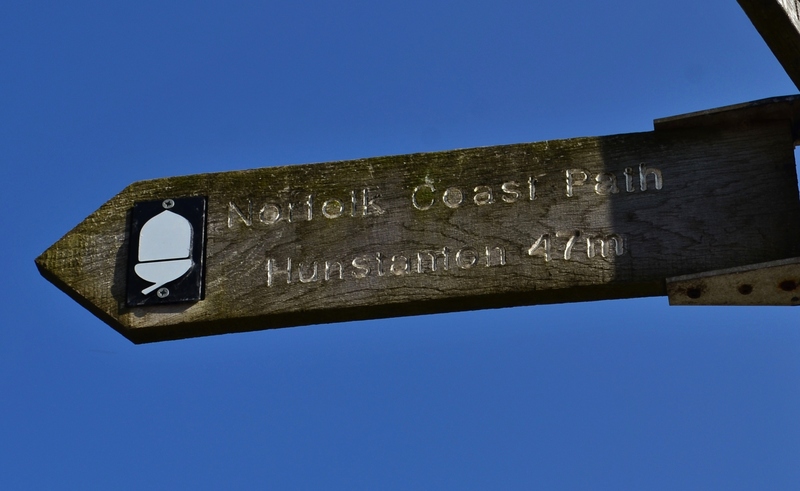 Or causes me to stop and pause as I walk past. It is a plant that re-pays being closely studied. 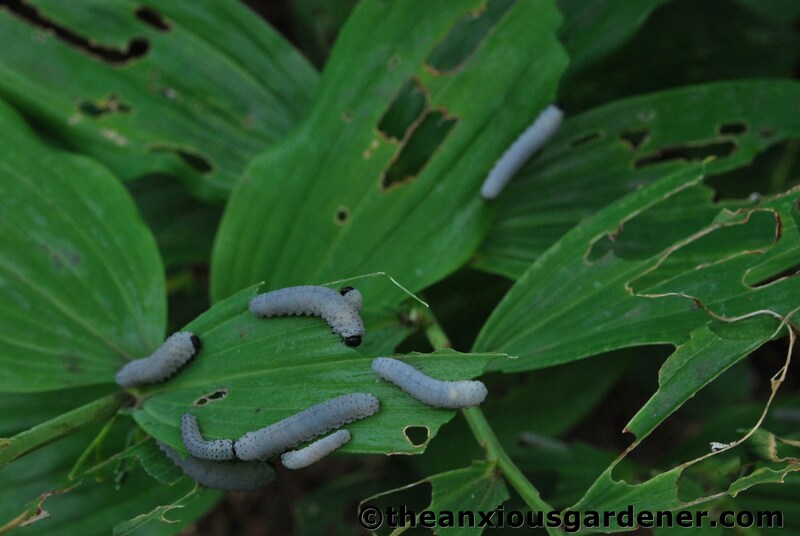 But now, in July, it is just a food crop for the Solomon’s seal sawfly. 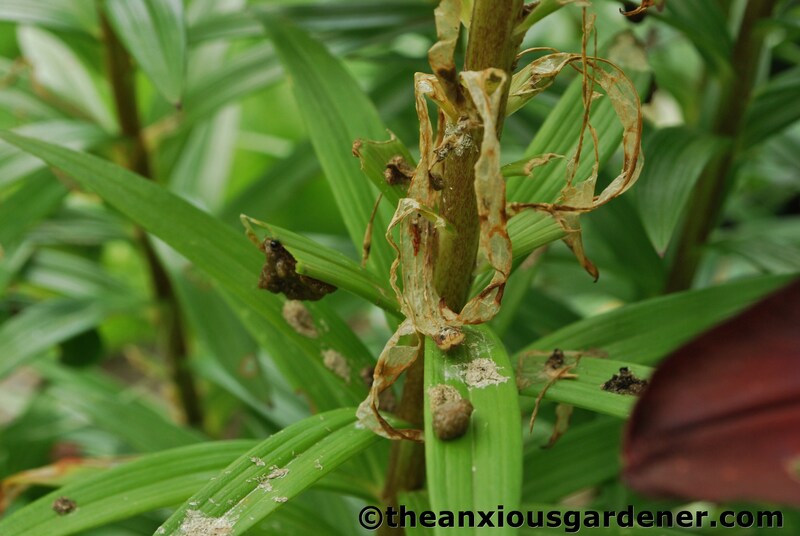 In the past I have just let these grubs be – they don’t seem to affect the plant’s flowering. But I read recently that having stripped the leaves, the fully fed and nicely fat larvae simply burrow down into the soil and pupate the following year. Repeated annual feasting can’t be good for the plant’s vigour and, as it seems such a simple life-cycle to break, I have begun picking them off. Another sawfly, which attacks birch (yep, it’s called the birch sawfly) has been a problem these past two or three years. If I hadn’t removed them all last year, they certainly would’ve stripped my three young Betula jacquemontii ‘Snow Queen’ of all their leaves. This year I found only one larva (and quickly crushed it thinking there would be many more – hence no photo) and only one branch slightly affected. Did birds eat them? I like to think so. It would be a little payback for all the money spent on birdfood. But not all the plants are under sustained assault. Opium poppies survived the-years-of-neglect too – though this year, their numbers are way down. 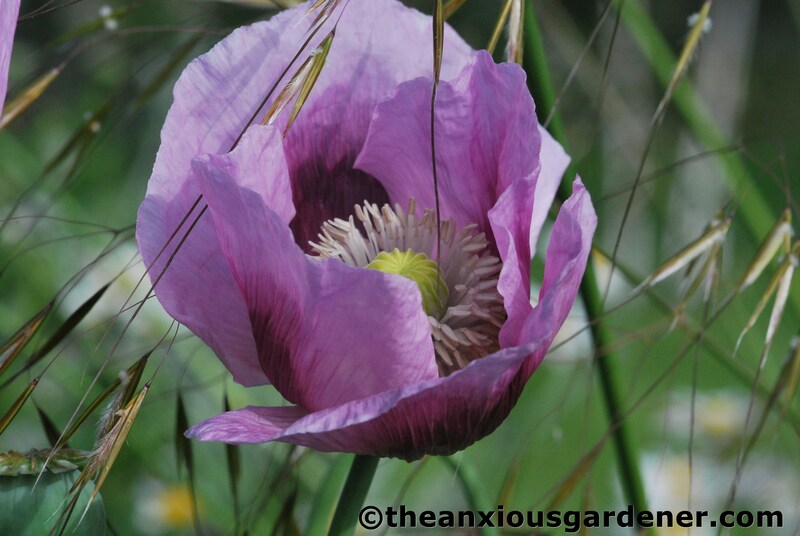 They self seed prodigiously but I do pull them out of some of the beds. You can have too much of a good thing. But as much as I like them, some are too frilly by far. Not only do I find them too fussy, bees struggle to get at their nectar. 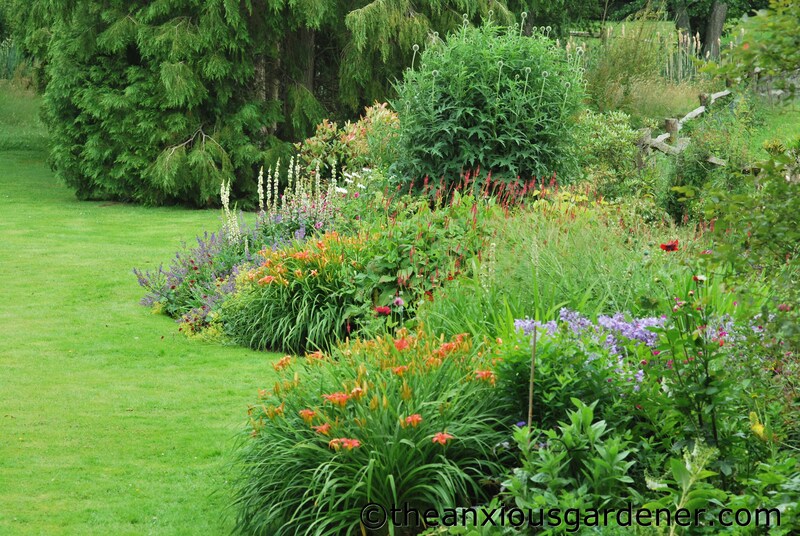 The kidney beds are at long, long last putting on a show though it is not as hyper as last year. 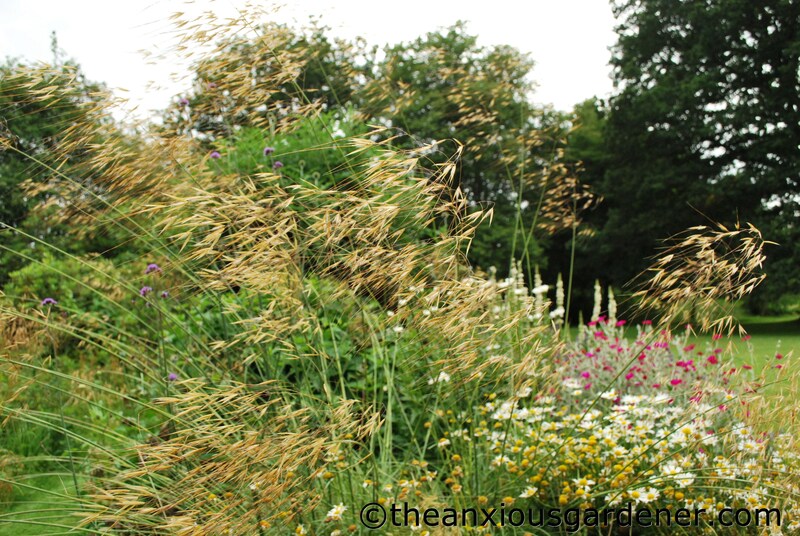 … a Stipa gigantea has reached maturity. Also in the kidney beds are Verbascum chaixii ‘Album.’ I originally grew these from seed and they are now increasing in number sufficiently for me to spread about elsewhere. And, talking of verbascums, out on the drive a single plant (which I didn’t have the heart to strim) has developed into a sizeable grouping. Goodness only knows where the seed came from. I shall dig some up and use in the gardens. Anyone know the variety? 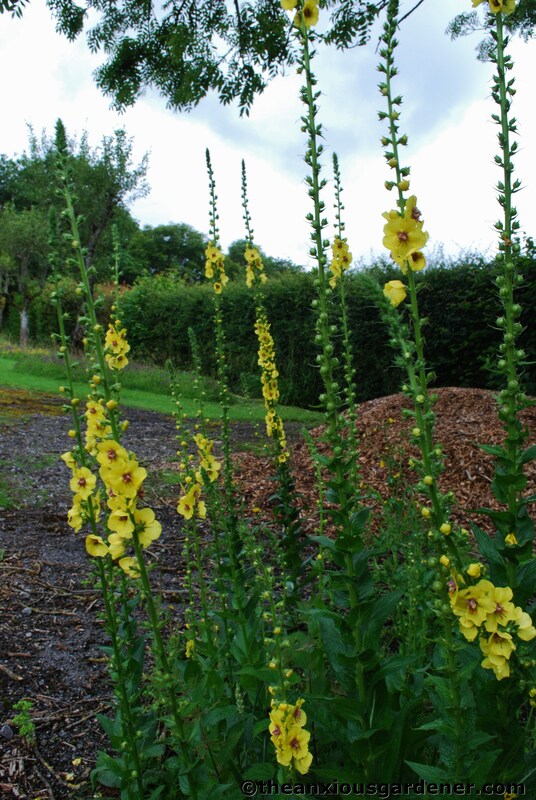 I also transplanted some Verbascum olympicum from the Old Forge – where they flourish on the dry, chalky soil. But here at the Priory, they are still a long way from flowering; if indeed they will flower at all in this wet and cold, drab and overcast ‘summer’. My Ligularia przewalskii (written with confidence but pronounced with none at all) has many more flower spikes than last year. It, at least, appreciates all the rain we’ve had. But roses do not relish rain. 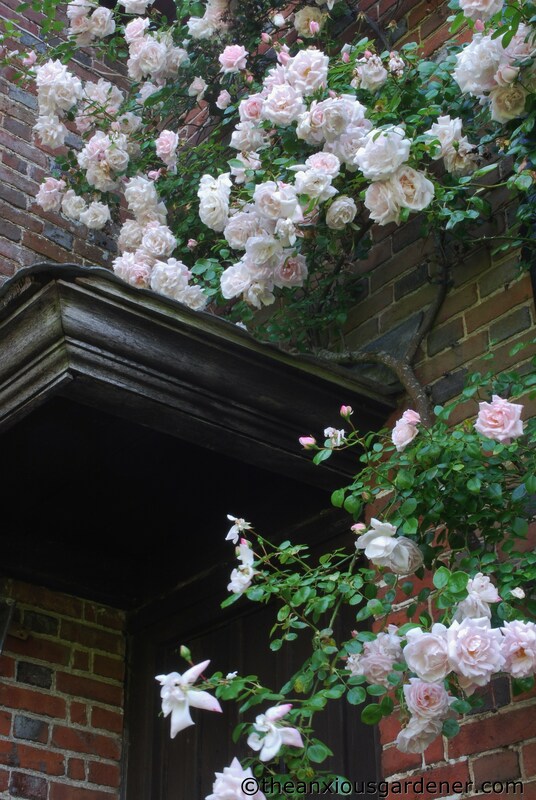 A couple of weeks ago, this old Rosa ‘New Dawn’ around the front door to the house looked pretty but the flowers didn’t last as long as usual. The rain and wind soon battered them to a sodden, pulpy oblivion. 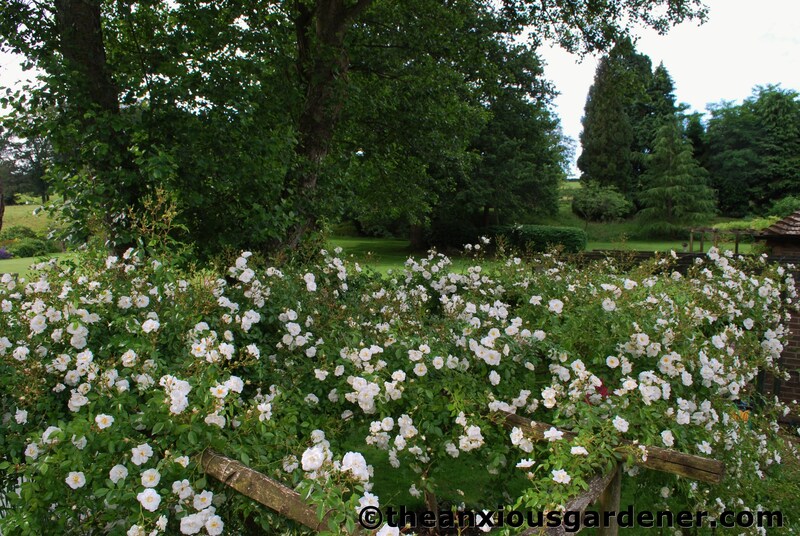 The rose tunnel is also in flower (though there are gaps. I have planted new bare-rooted plants to fill these). After a visit last weekend to the stunning gardens at West Dean, I can at last identify the climbing rose on the tunnel. I had suspected it was Sanders White but it’s nice to be certain. What a beauty it is. 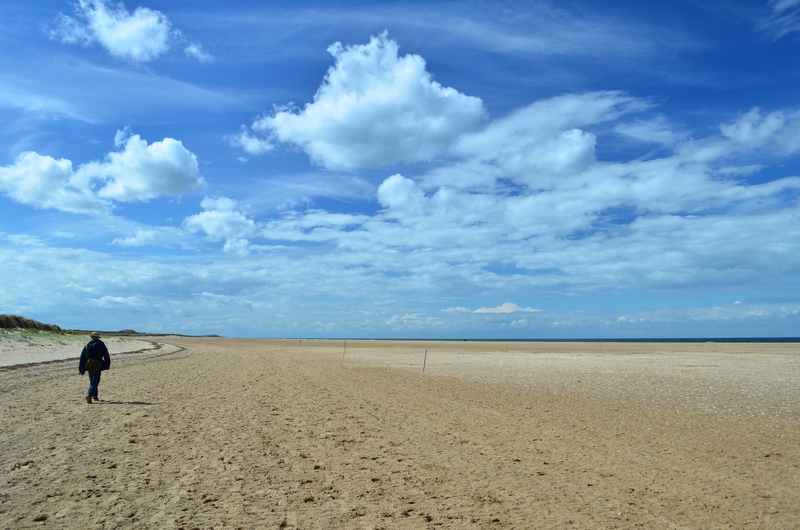 Just a shame we haven’t got the sunshine to show it off at its best. Perhaps next year? Or the year after. Or the one after that. Your yellow verbascum looks like what we here in the U.S. call “Moth mullien” (Verbascum blattaria.) 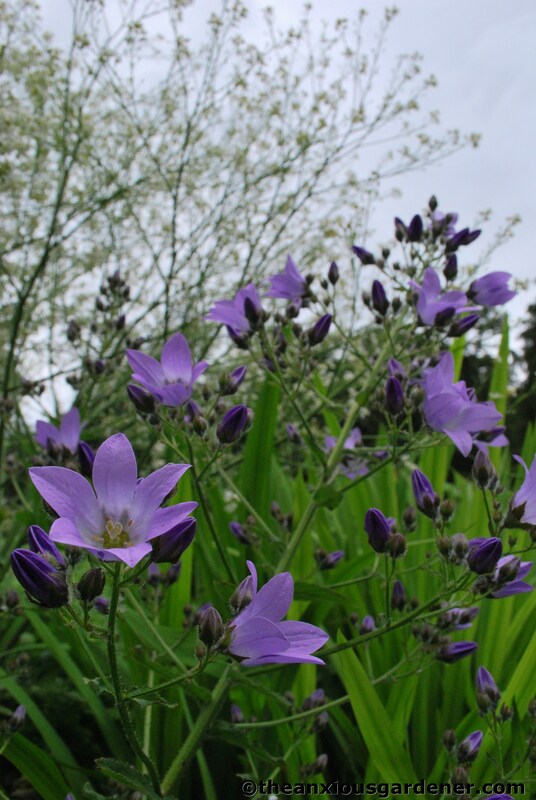 It has that common name because pliny the elder thought its purple stamens looked like moth antennae. We also have lily beetles, unfortunately. Beautiful gardens! Hi Dave! 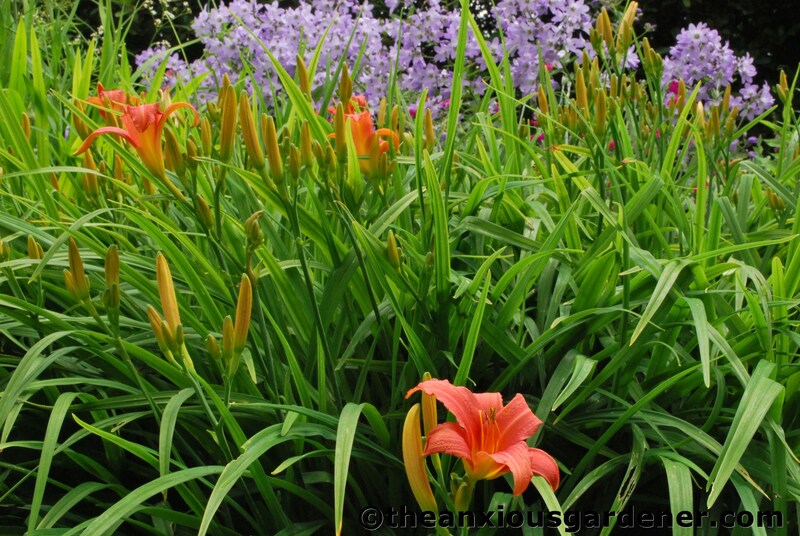 The kidney beds look amazing, the campanula with that orange hemerocallis is very pretty. 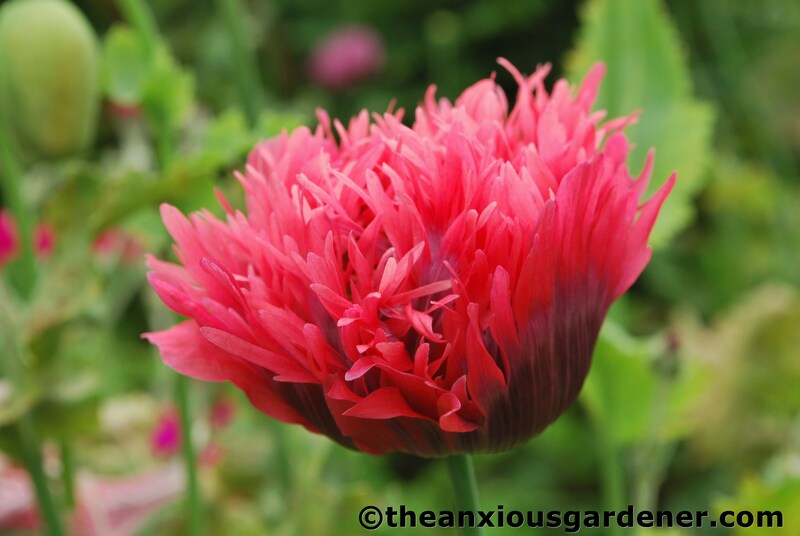 I have v. Chaixii in flower since the end of may and they are still holding up and self seeding around, I love them. I have both the white and the yellow varieties even tough the white one looks better. The yellow one on your driveway is v. Blattaria which grows native in my garden. Here the plant grows too much and flowers could drown on leaves, so I just pull it away most of the times. It is annual. V. Olympicum I think it takes one year to flower and then dies but I’m not sure. Yes biennials (I never know if it spells biennial or biannual) there is another word then to define plants that die after flowering but I don’t remember it even in my language. 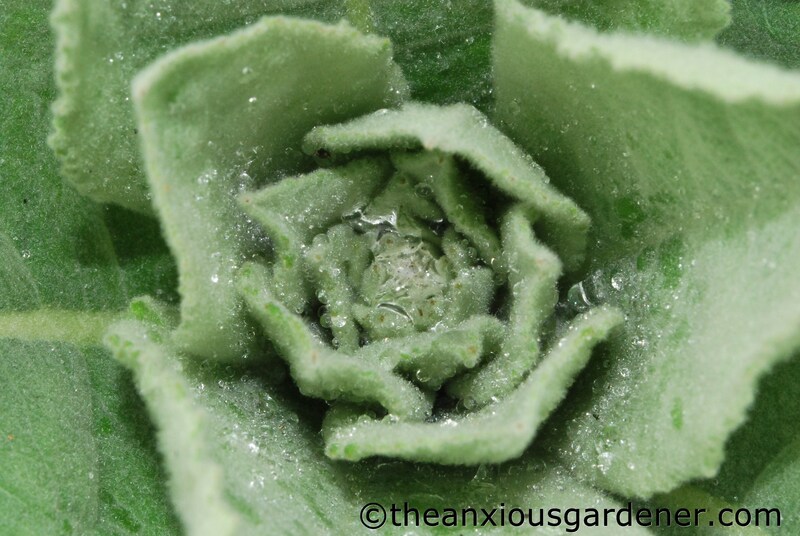 That verbascum could last for years if you don’t allow it to flower. Hi Dave, this post really cheered me up, because I realise I have NONE of these pests. My Solomon’s seal remains intact and my lilies unspoiled. There’s something to be said for living in the cold after all! However, I am astonished that slugs do not devour your ligularia….someone needs to investigate gastropod psychology….do they eat your hostas? They never touch mine. 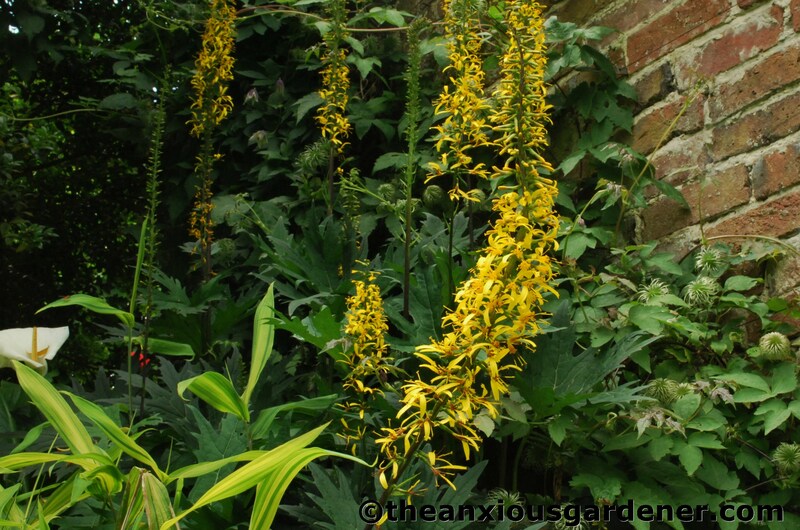 BTW I’ll swap you a bit of that Ligularia pz …(insert unpronounceable Polish bit)..ki for a bit of my l.veitchiana. Much the same flower, totally different leaf. Thanks Dave – a pickaxe is usually the best tool for dividing big ligularia I find. 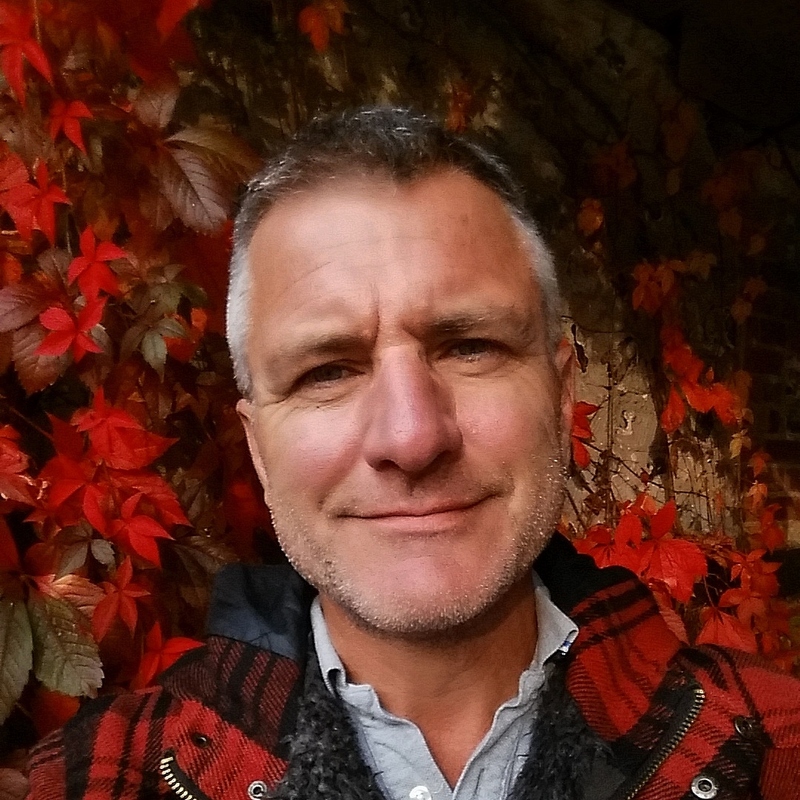 Maybe we should set up some kind of WordPress plant swap blog for UK gardeners (and anyone else without excessive phytosanitary regulations – the US seems almost to demand steam cleaning before any plant is allowed in) ? I’ll think about how it might be done. BTW I meant to ask when do you divide your rhodohypoxis? Should I wait until the leaves die back, or what? Ooh. You sent a joyful shiver down my spine with the use of the word phytosanitary. I worked, many years ago, for MAFF (as it was then). I headed a small team responsible for issuing phytosanitary certificates for plants to be exported and dealt with import certs too. Really, interesting job. Anyway, yes! A plant swap is a great idea. I throw so much stuff on the compost that is perfectly useable. I shall give it some thought too. The idea of taking a pick axe to my little ligularia fills me with horror – I shall investigate more gingerly; with a hand-fork perhaps. 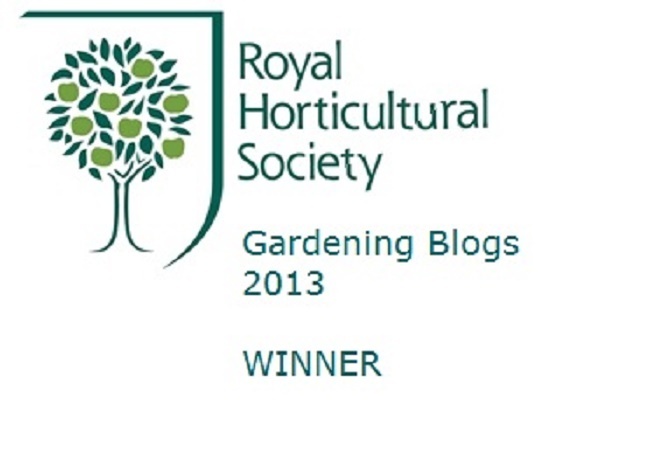 Always a delight to see your photos and read updates of your plant adventures. 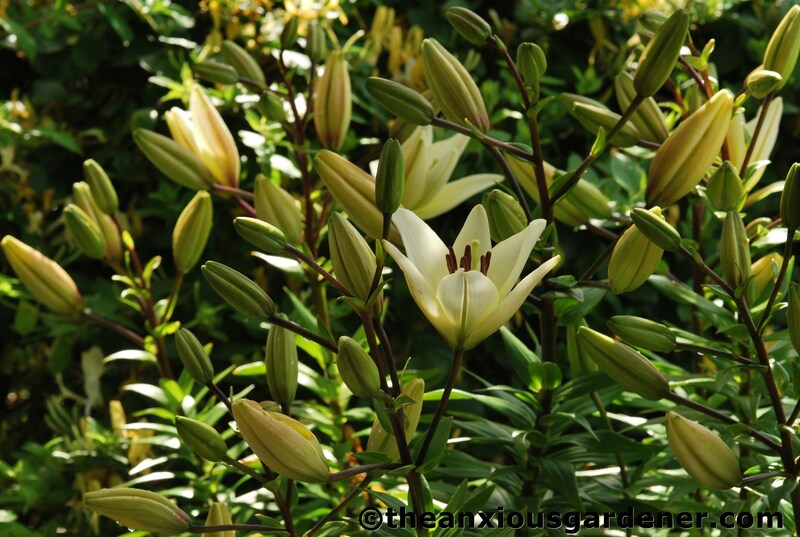 A fan of lilies here too, would plant loads more of them given the space! Bloomin’ pests. The kidney beds are looking good though. 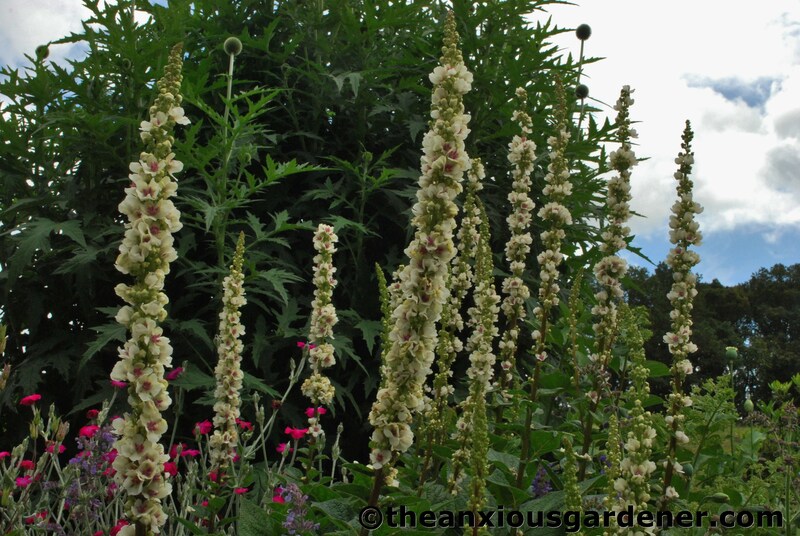 Lovely verbascums (I’ve grown V. chaixii album from seed too, still to flower, but I’m looking forward to it). 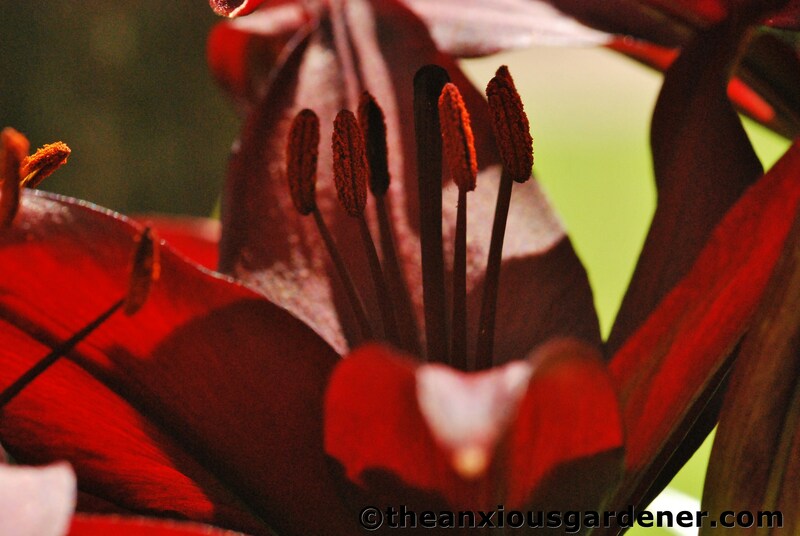 Love the deep red of that Lily. As for those Lily Beetles…which I’ve never seen…Gross! Everything looks good there despite the weather, especially the Roses. My Ligularia has been…once again…devoured by Slugs. And here I thought spittlebugs were gross… I have a different set of pests, but the results are about the same. 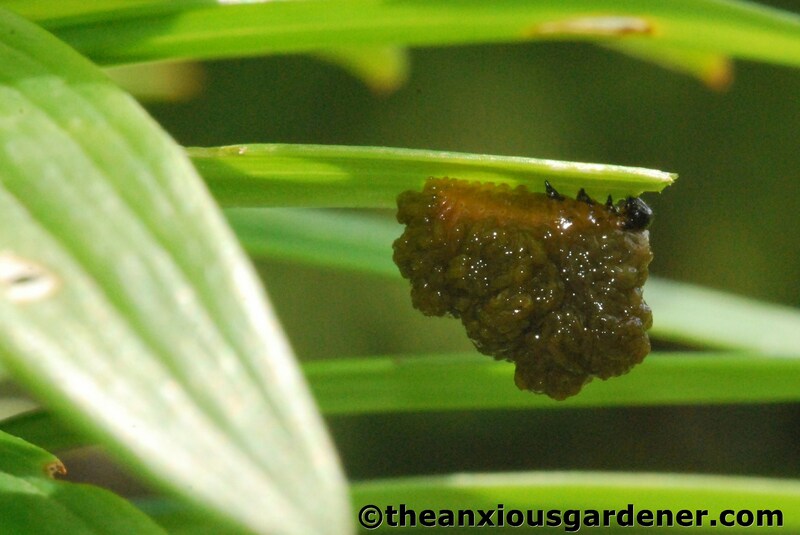 (Leafless plants, and a fist shaken in the air while shouting, “Curse you, Arch Gardening Enemy!”) My biggest problem is the leafhoppers, which spread plant viruses and are too small and fast and numerous to catch. Last year the mantises took care of the problem pretty well, but I haven’t seen them around this year. It’s hard to imagine the kidney beds being any more hyper — any more and they’d need medicated. They’re gorgeous, Dave! What lovely colors. But where were you standing for the last photo?? 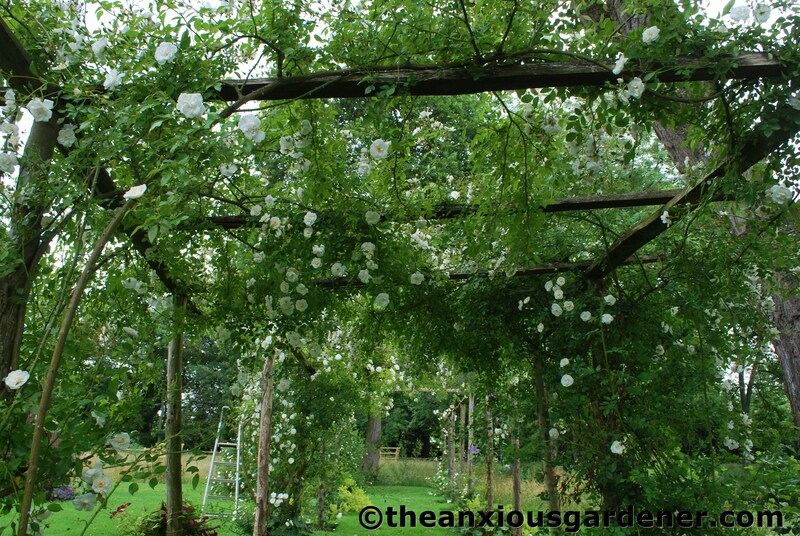 I wish I had room for a 300′ pergola like they have at West Dean. I can always rely on you to disgust me (that’s a great compliment on my planet btw). 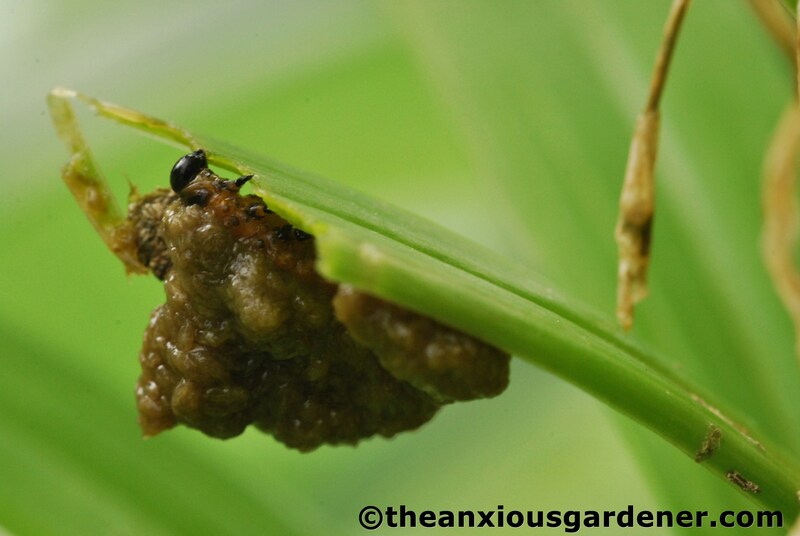 I will no longer feel conflicted about squishing lily beetles. 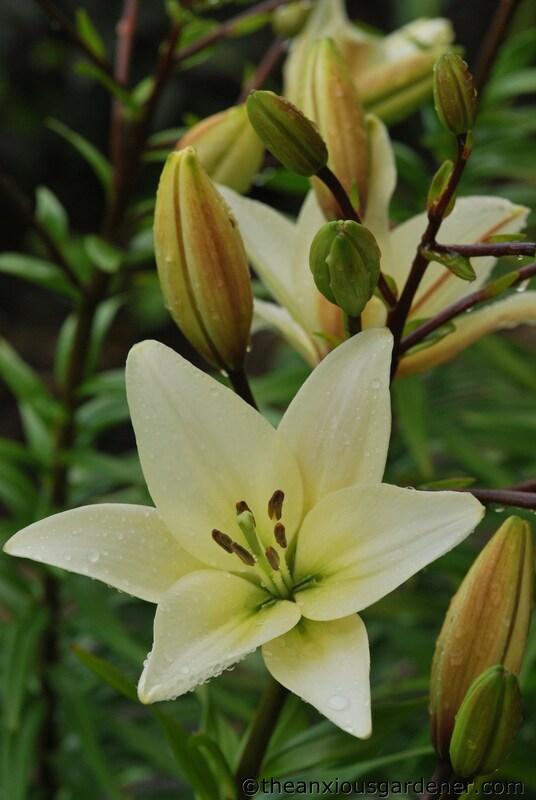 I suffered from LB for the first time last year – so I thought – no more lilies – but forgot and just left the lilies in the containers – they seem to be doing ok so far – touch wood. Love your rose walk. Sawfly attacks the Solomans Seal every year but the plant still comes back healthy the next year. There’s always something out to get you one way or another. RLB is nasty, my lilies are checked daily; Regal lilies are much less attractive to them than other lilies and Madonna lilies seem to be their caviar, I’m considering pulling them out all together, they never flower well for me even though they grow almost wind around me! 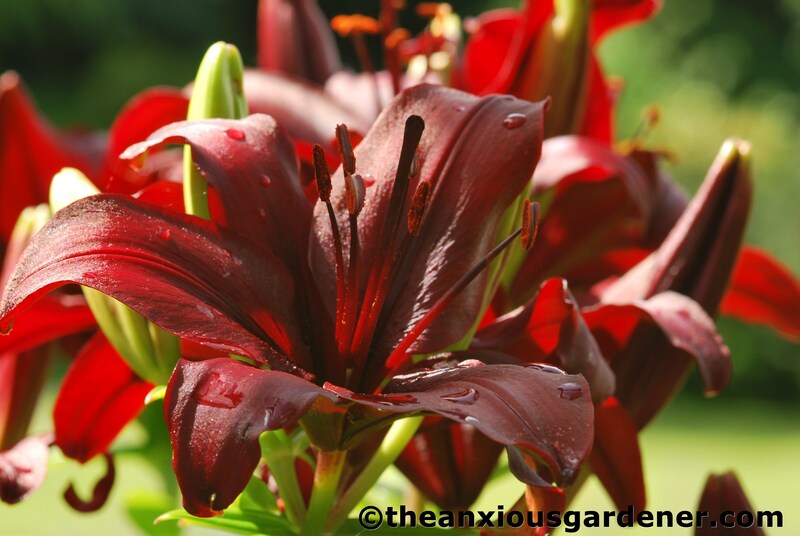 Do you find one variety of lily more attractive to them than another. The rest of the Priory is looking lovely; be proud of what you’ve achieved. So beautiful. I love the borders. It feels like a constant battle, doesn’t it? I planted a few Solomon’s seal a few autumns ago and then the following spring completely forgot about them. When I remembered and wondered why they hadn’t reappeared, I had a hunt around and found stems that had been stripped bare!!! The LB larvae are just disgusting. It’s intriguing that they decided the best way to ensure survival is to cover themselves in their own poo. Still they haven’t got a defence against the finger squishing, have they? That shows them! 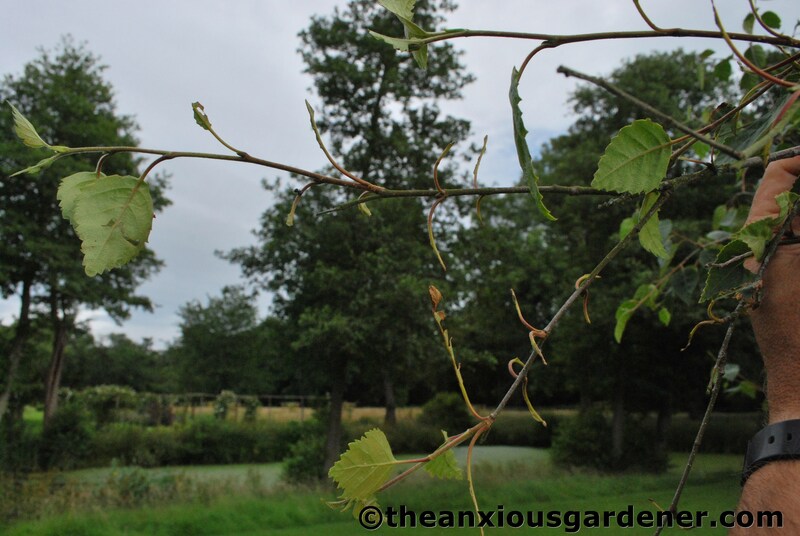 Why do insects go for the plants we love but nothing seems partial to the weeds I spend all my time pulling out. Why can’t there be a dandelion beetle or a dock destroying creature? Geez, you know it’s been a bad summer when they’re eating weeds, too. I came back from a few days away visiting family to discover a tray of salad that had looked great when I left had been completely hoovered up. This is despite the fact that the tray was 6ft off the ground on some shelves. Do they have such a good sense of smell that they knew they were there? Red lily beetle are an absolute menace, I go on patrol, when its not raining, knock the beetles into a tissue, fold it up and jump on it !! The larva get wiped off, don’t have many of those revolting things because I wipe off the eggs from underneath the leaves. Its a pain to do, but worth it. Solomons seal stems get cut down and then the stems plus larva of the saw fly are taken to the bird table and left for the birds to enjoy. War is waged and I like to think I’m winning, hope you are too! That is an AMAZING stupendous landscape you’ve developed there!!! So pretty! I lost the fight with the asiatic lily beetle when I lived in Massachusetts, but thank the lord they haven’t been a problem for me in Florida yet!! Best of luck to you!!!! Its a war out there Dave! 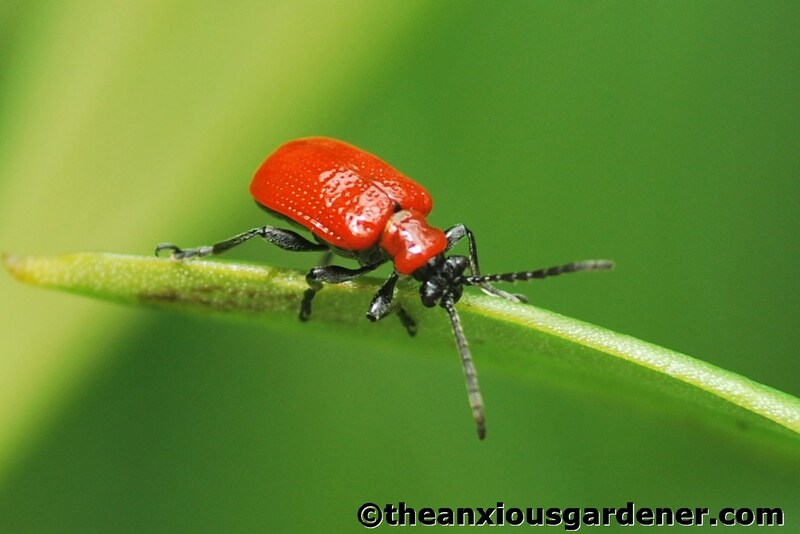 Lily Beetle is nasty but at least they are bright red and easy to spot. I have sawfly on one of my roses, trouble there is the eggs are in the soil so really needs to be dug up completely. At least you do have some flowers and colour in the garden. 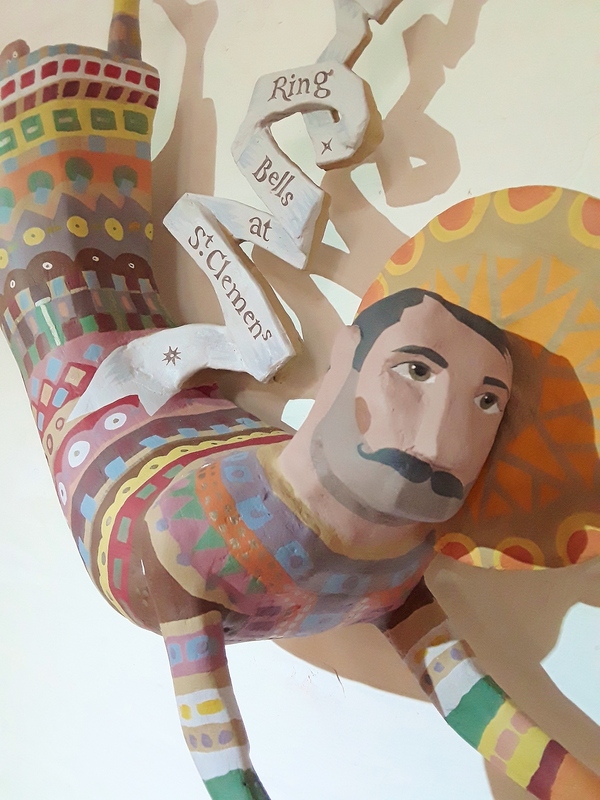 The slugs and snails have eaten everything in sight, even the variety of salvia they are not supposed to eat.